Two-time Wimbledon champion Petra Kvitova addressed the media for the first time since being injured in a knife attack at her home last Tuesday. According to surgeons who operated to repair the tendons in her left playing hand, Kvitova is likely to face six months out of action. The Czech world number 11 told journalists she was determined to return to the competitive courts. 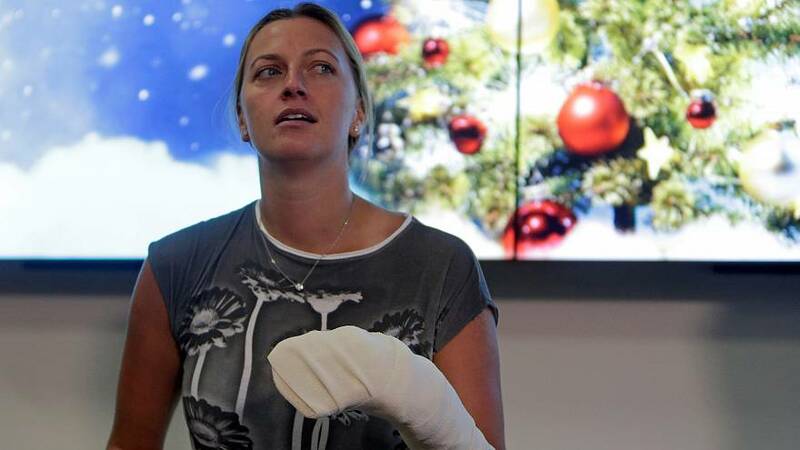 Kvitova suffered the injuries when she fought off an intruder at her home in the Czech Republic. The 26-year old won her first Wimbledon title in 2011 and then repeated the feat at the All England Club three years later. She won bronze at the Rio Olympics and in November helped the Czech Republic win a third straight Fed Cup title, which was her fifth in total.